The Charlie Daniels Band will be making a stop at the Miller Theater in Augusta, Georgia on Saturday, November 17, 2018. 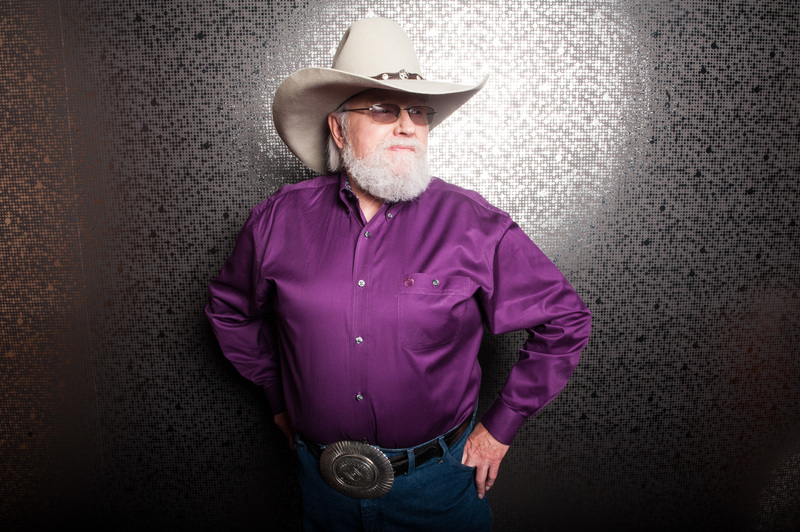 Check out our exclusive interview with Charlie Daniels below. Tickets are still available and can be purchased HERE. MRM: You are coming to Augusta, Georgia at the historic Miller Theater on November 17. Have you ever played there before? MRM: I believe the original Lynyrd Skynyrd played at the Miller Theater in the early ‘70s. Is it sad to finally see Skynyrd embark on their farewell tour? Daniels: I’ll believe that when I see it. (Laughs) I think them guys love it too much to give it up. I’ll be surprised if they actually do just go away and don’t come back. MRM: Won’t you be on some dates with Lynyrd Skynyrd for their Last of the Street Survivors Tour? Daniels: Yeah, we’re trying to put some dates together with them. We actually book a little further down the road than they do. So sometimes we’ll already be booked or some reason or another won’t be able to take all of the dates. But we do as many as we can, and we look forward to being a part of it. MRM: Years ago, do you remember playing an outdoor gig in nearby Beech Island, SC? Daniels: Yeah, I remember, I sure do. I believe it was probably around ’73 or ’74 – I think. We had a good time at that show, I remember. I didn’t think anybody was there until we started playing – then they started coming out of the woods. (Laughs) But we really ended up having a really good time. MRM: Were you surprised your Tweet about Taco Bell and the Illuminati wound up going viral earlier this year? Daniels: No, particularly because there were like people on both sides – people agreeing with me and people making fun. I am always on Twitter and always writing stuff and so used to people agreeing and disagreeing. It really doesn’t surprise me that much. MRM: Are you amazed at how much “The Devil Went Down To Georgia” has become a part of pop culture? Daniels: That song pops up all over the place. The main thing that I care about is that it’s not glorifying the devil or something. Because that is not what it was written about. Gosh, it has been used so many ways. I’ve actually had to turn people down from using it before because of for those reasons. I was really disappointed with Guitar Hero – the way they portrayed it. I’m pretty careful, usually, about who I let use that. Sometimes something slips by a little bit. We usually make sure it is used respectfully. I learned that lesson early on. MRM: I’ve noticed you don’t really play “Uneasy Rider” anymore. Is there a reason for that? Daniels: There is no reason other than, you know, it’s never a problem for about what to play – it’s a problem about what not to play. You have to leave some things out. In a 90-minute set, you just can’t fit that many things in. We still do it once in a while. If we go somewhere and they request it, you know, or something, we’ll do it. You know, what do we leave out to play it? Do you leave out “Long Haired County Boy”? Do you leave out “Wooley Swamp”? We just try to put the songs in that people would enjoy the most. And if we have a little extra time, sometimes I’ll throw in “Uneasy Rider.” But that’s the only reason; I mean there’s no other reason for it actually. MRM: Well, speaking of the “Legend Of Wooley Swamp,” how did you come up with that tale? Daniels: It’s kind of odd. I got in my mind that I wanted to write a ghost story. I thought it would be good to write a ghost story song. And so I started casting around for some story to write about. I thought maybe I’ll find something about maybe an Indian legend or something that happened on a mountain or something, and I never did. Then I started thinking about this place down in North Carolina I used to hunt in when I was a boy by the name of the Wooley Swamp. It looked like a place that nobody lived there, and it’s all totally fictitious. But it looked like a place that a story like that could happen. So I just kind of turned my creative juices loose and went for it. And that’s what I ended up with. Daniels: Well, yeah, wherever we are, I always put in whatever team – college team or pro team or whatever – I’ll throw that in. MRM: Could you speak about your memoir that recently came out? Daniels: Yeah, it’s called “Never Look At The Empty Seats.” Of course the title pretty much says it all. Really, it’s about accentuating the positive – what I’m saying is that you need to be concerned with entertaining the people who came. Because when you’re a young musician you’re gonna have some empty seats. You’ve got to act like the house is full every night – every night you go in and entertain people that came. You’re not concerned with the people that didn’t come. And if you do your job right and entertain those people, the next time you go back to town, they’ll come back and bring somebody with them. And that’s how you build a following. So that’s basically what the book is about – my journey as a professional musician. A lot of my attitude is about that being one of them where one of my strong beliefs is when you go to work, go to work – do the job regardless of what you are doing. MRM: You seem in amazing health. What is your secret? Daniels: Well, it’s just a blessing to God really. One of the things that I know is that I try to exercise every day. It took me a long time to learn that I can’t do everything that Jack LaLanne does or the guys in those videotapes and things. You find your own level of exercise. Mine happens to be about an hour worth of aerobics a day – walking for an hour or riding a stationary bike for an hour. And I know that is beneficial to me, it really makes a difference. So I would attribute a lot of it, as far as what I do about it, of course like I said the good Lord does most of it. And I’m happily married and have a family I love. I’m surrounded by people that I love that I work with. I love what I do for my profession. I always have something to get up for in the morning. I always have something to look forward to. I have not been bored in years. I just don’t get bored; I always have something to do. And I’ve seen a lot of my dreams come true. And, you know, I’m just blessed. MRM: So I guess you won’t be hanging it up anytime soon? Daniels: I have made no plans whatsoever about retiring. I think if the time comes for me to do it, it will be very obvious. If it becomes obvious or necessary, then I’ll do it. Right now I have no thoughts of retiring. I’m still creative, I’m still writing songs and still recording and playing shows. I’ve got 110 dates booked for this year. We get out and get it done, and I enjoy it. I love what I do. MRM: What can fans expect when the Charlie Daniels Band rolls into Augusta at the Miller Theater on Saturday, November 17? Daniels: Oh, we always do the songs that people hear on the radio. The obvious ones: “Legend Of Wooley Swamp,” “Long Haired Country Boy,” and “Devil Went Do To Georgia” and those tunes. But we throw in a few new things too. We throw in a few new things we’re working on and stuff you haven’t heard us play before. Our whole aim is to entertain people from the time we hit the stage and from the time we walk off. We do the classic songs, we do new songs, we do some entertaining things…We have a few surprises for you!